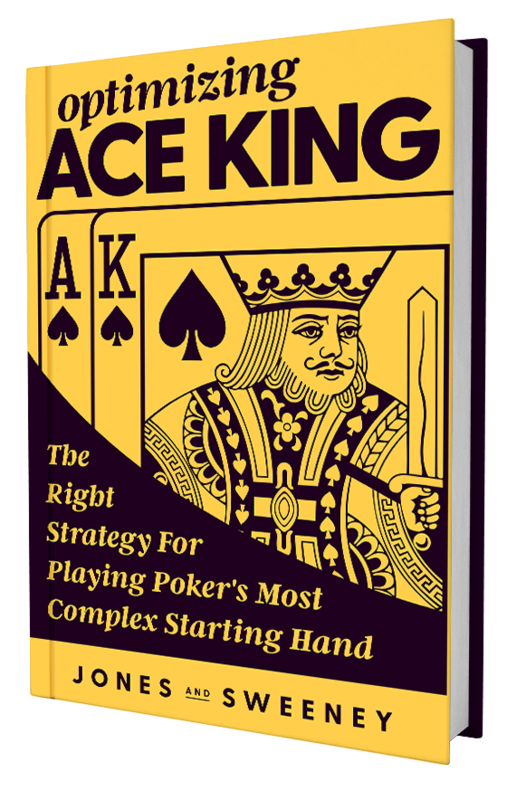 Usually, with these posts, we review a single poker hand and try to learn some big-picture lessons. We’re going to do something similar today but through a slightly different lens. This came about when I sent out a hand history a few months ago asking people how they’d play it. I was surprised by the variation in the responses. There is a lot of value in exploring spots where players disagree on a common inflection point, hence this post. Discuss hands with serious poker players at the Red Chip Poker forum. Let’s assume the people who said fold were trolling because that’s a bonkers thing to do. We’re getting 4-to-1 with top pair and are never folding here. The important point to notice is that most people said they would call here, whereas I would definitely raise. I’m not surprised most people said they would call here based on my experience, simply because most players are not aggressive enough. The average player wants to call here. They want to see if the river improves them, or how the board rolls out. But notice that these reasons are self-focused and focused on our hole cards. They are reasons that are based on ego and fear. These players don’t want to risk raising and being wrong; that is, putting in money with one pair which for many players carries a lot of uncertainty. I know this because I’ve asked people why they would call here. What their reasons lack are discussions of the big blind’s range, what the big blind’s bet size means, what the plan is on various river cards, and so on. If you focus more on your own comfort and hand strength, you are missing the big picture. Poker is a game of ranges and frequencies. The big blind’s range here shouldn’t be all that strong. Notice that there are a ton of draws on this board. Is he really going to bet that small with a good made hand? Wouldn’t $50 or $60 be more usual with a strong hand? To me this small bet represents weakness or at best marginal value far more than it represents strength. As such, I immediately ask myself “what happens if we raise here?” But if the big blind’s range is mostly marginal and/or drawy, what would a raise accomplish here? The problem with just calling is that it allows the big blind to set the price, irrespective of whether he has a draw or a marginal made hand. In contrast, good things can happen if we raise. Our opponent may decide to go with their draw which we’re doing great against, or they may simply decide their 8x is good and pay us off. Notice too that there are plenty of river cards that we will either not like, or have no idea if they are good or bad and thus make mistakes on. By just calling the turn we are frequently setting ourselves up for a difficult river decision, or losing value when the river scares our opponent with a worse hand than ours. This is a common leak that online players have. Which river cards give us a difficult decision? Which cards may cost us value when they shut down our opponent? Let’s reset the hand and watch it play out with these ideas in mind. I isolate limpers preflop to $22. It was the type of table where the other players were usually making smaller raises in this spot, and I am quite happy getting folds and picking up the pot. If I don’t, I at least have position and some kind of a hand. I check back the flop simply because it’s not a great flop for us. I don’t expect either of these players to fold a pair or a reasonable draw, so getting both to fold with a continuation bet would be overly optimistic. The turn brings us top pair and the tiny lead from the big blind. I decide to shove over the top. As discussed above, most players call the $25, cite showdown value as the reason, and never even consider raising. What we should be doing is simply asking: what is the highest EV line? I don’t think it is calling, given that the big blind will often pay us off with draws and second-best hands. Notice that my assumptions are based upon the big blind’s range and how they’d continue against a raise. Many players will propose a counter-argument to raising along the lines of: what if he has 87 or A3? Couldn’t we call and make more money? And won’t we sometimes shove and be shown a set here? Sure, sometimes. But let’s look at the board. I don’t think most of the two-pair combos on that board are in his range. He simply doesn’t have 93 or 82 here given that we made a big raise preflop. There are only ten combos of sets possible for the big blind and one combo of 98s; that’s about all he could have reasonably defended with preflop that now has us beat. Compare that to all the possible draw combos, J9s, and so on. Putting it all together, my conclusion is that raising here is a more profitable line than the more common one of calling chosen by the majority of respondents to the original quiz. So I shoved and in this instance the big blind folded. One takeaway from this hand is that there is a lot that goes into the multiple decisions that I made and a number of different concepts. I talked about isolating limpers preflop, the sizing for that isolation, the importance of position. Then postflop we have the distinction between playing this hand heads-up versus multiway, when we should continuation bet, and planning for different board run-outs. Finally on the turn we have to use hand-reading to decode what Villain’s bet means, what our raise accomplishes in terms of value versus protection and equity denial, and what showdown value really means in this spot. That’s an awful lot of concepts going on at once in a single hand, and the reality is that many hands have this level of complexity. This can be extremely intimidating and confusing for players who are trying to improve their poker skills. And this is one reason why we produced CORE, which we feel is the most structured learning program ever developed for poker players. All of the concepts I just listed have associated lessons. What CORE does is guide you through poker from A-Z in a structured and organized way, so you first learn the foundational cornerstones of NLHE and subsequently add more building blocks as you work your way through the lessons. We recognize that many of you may be trying to build a bankroll as you improve your game, so we also made CORE affordable. You can sign up now for only $5/week and get access to over a hundred lessons produced by our team of highly-respected poker players and coaches.